I've been known to enjoy a few Mutt & Jeff comics over the years (and those two characters were certainly the inspirations for The Fox and The Crow, one of my favorite comics series of all time!). 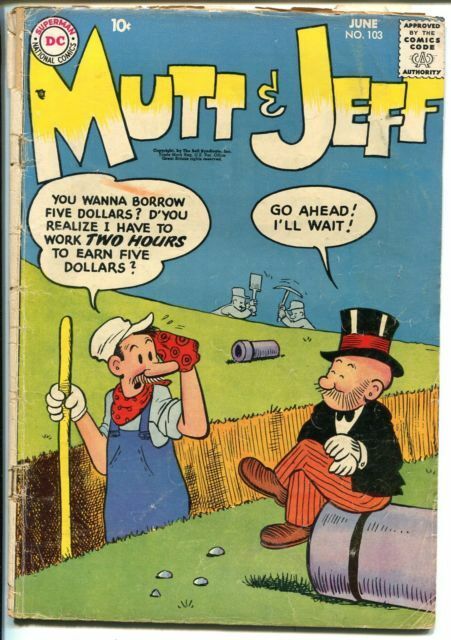 Mutt & Jeff enjoyed a respectable 20-year run over at DC Comics, with 103 issues published spanning the decades from 1939 to 1958. 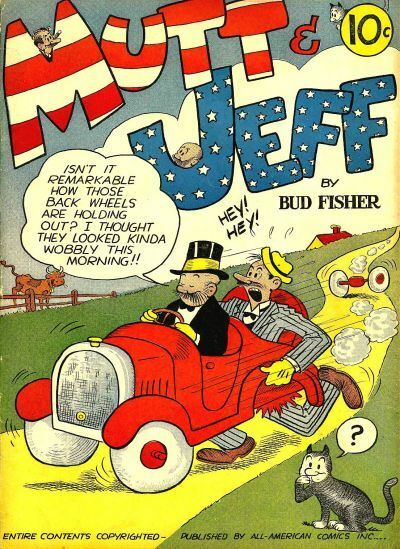 But this week I learned some thing about Mutt & Jeff comics that I never knew and never would even have suspected: all 103 of their covers were drawn by the great Sheldon Mayer! Yes! The creator/writer/artist of Sugar & Spike and Scribbly (another couple of my favorites) drew the above cover for the first issue and the below cover of the last issue and also the 101 issues in between! Who knew? 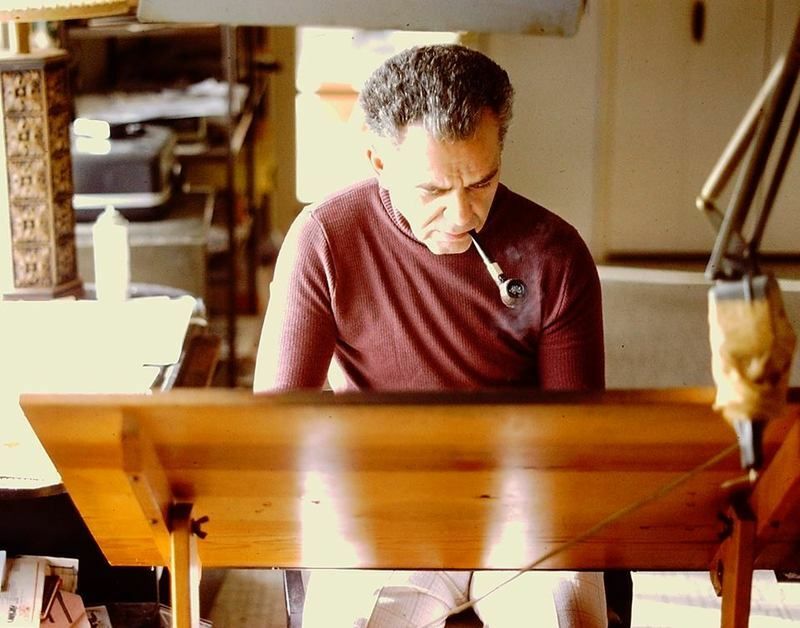 I stumbled across this photo of Mr. Jack Kirby on the internet this week and I'm fairly certain it's new to me. I like it very much. The 100th anniversary of Mr. Kirby's birth is coming this summer, you know. What you don't know is that The King and my mother were both born that same momentous year of 1917. I thought about that connection often as I was devouring the superb Fourth World titles off the newsstands in the early 1970s. Hooray for Jack Kirby! And my mother! 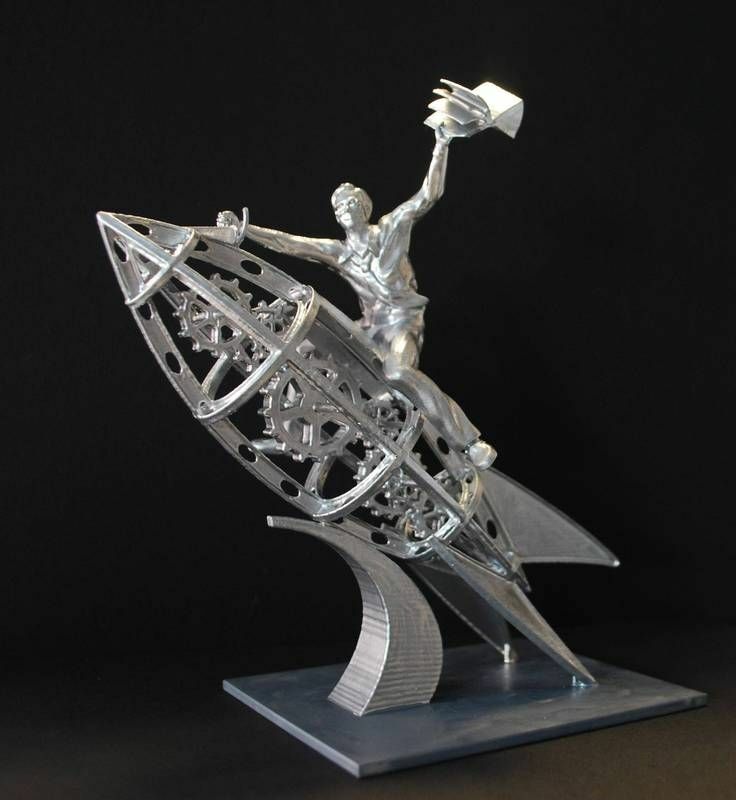 Ray Bradbury was born in Waukegan, Illinois and that town 55 miles north of Chicago is hoping to erect a statue of the famous writer to honor him. Mr. Bradbury of course has an interesting connection to the comics world, as I first told you over here. I like the design of the statue and, if you'll pardon my creation of a new adjective, I find it wonderfully Strangeloveian. 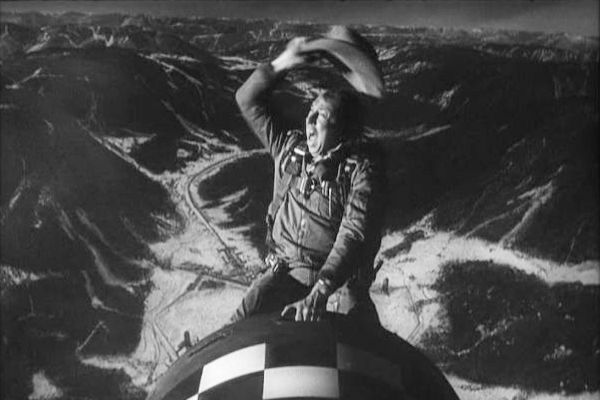 Of course everyone remembers the Dr. Strangelove scene in which actor Slim Pickens rides the dropped bomb!